Students of Italian at Chapman can now participate in a newly established Italian-English Language Exchange Tandem Program in collaboration with Università Cattolica of Milan. This is a terrific opportunity to increase familiarity and fluency in Italian, learn more about today’s Italian youth culture, and get to know an student from Italy. Please contact Dr. Pacchioni at pacchion@chapman.edu for any questions. 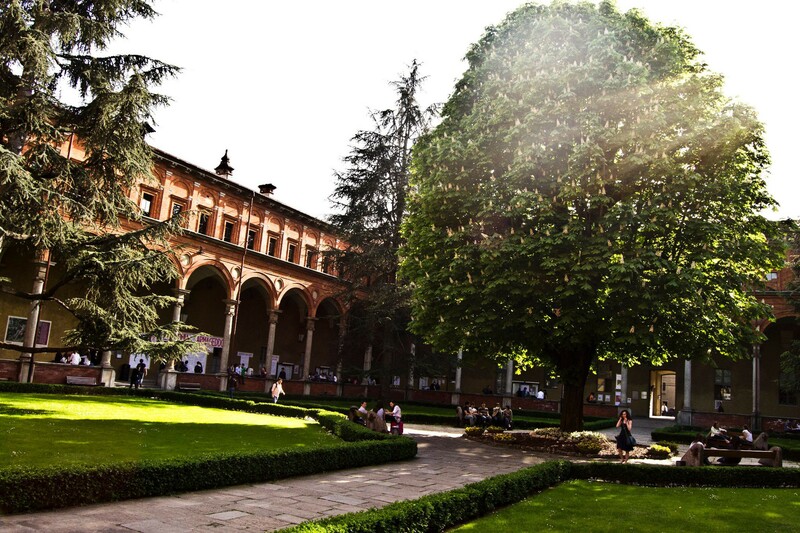 A photograph of one of the magnificent cloisters composing the campus of Università Cattolica in Milan.